Those who know their e-cigarettes know that e-juice has a lot to do with it. There are two types of choices you can make when it comes to e-liquid; either the vegetable glycerin or propylene glycol. Of course, it comes mixed with water, flavour and nicotine (optional). Now, vegetable glycerin has been known to create a bit of layering on the atomizers and the inner wall because it is quite thick. Yet, its sweetness quotient and greater affinity to create vapours make it a fine choice. It has one downside, that it has a distinct aroma which curbs the added flavour’s smell quite a bit. Propylene glycol, in the meanwhile, is a lot thinner in consistency and has no smell whatsoever. Thus, you know you will get the essence of flavour directly delivered to you. 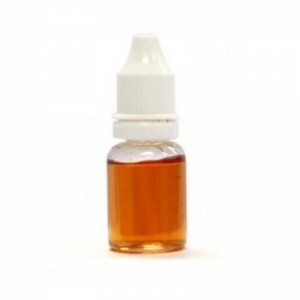 This is the more traditional cheap e-liquid online and offers a better throat hit even if vapour density is a lot less voluminous. It is an effective carrier of nicotine and thus, if you take nicotine in your e-cigarettes, you might prefer this choice. Remember to keep the cartridge sufficiently loaded with e-liquid to avoid burnt taste. The clearomizer gives a clear account of the amount of e-liquid remaining. For the uninitiated, when you inhale the e-cigarette, the battery charges the atomizer which heats and vaporizes the e-liquid. You inhale and exhale vapour as a result.